I've seen this recommended to fans of Big Little Lies a few times. 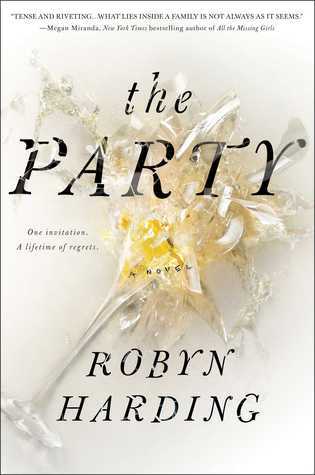 I still haven't gotten around to reading it yet, but if it's anything like The Party, I think I'll enjoy it. The Party sucked me in from the very beginning. It's a compulsively readable book and hard to put down. It was exactly what I needed to pull myself from the reading slump I was in. I thoroughly enjoyed the book until the very end. I had questions throughout the novel regarding whether or not we were dealing with an unreliable narrator or if we were getting the whole story. The ending doesn't answer that and left me feeling a bit disappointed. Which account of that night's events are real? I'd like to believe that Hannah is telling the truth when she texted Sarah the end of the book, but I don't believe she is. The fact that she seems to be doing it solely to become popular again (and take down Lauren) was a bit disappointing. I really would have liked it to be more of a case of unreliable narrator where Lauren did push Ronni and the ending was expanded to accommodate that.